Treatment of PPID | ECIR Group, Inc.
PPID = Pituitary Pars Intermedia Dysfunction = Equine Cushing's Disease. It is caused by loss of neurons in the brain, originating in the hypothalamus, that send nerve endings down to the pituitary where they release dopamine. Dopamine inhibits/controls the release of the hormones that are elevated in PPID. The best way to assess ongoing treatment and medication requirements of horses with PPID is to test ACTH levels and to monitor the horse symptomatically. For the best long-term prognosis, hormone levels should be kept as close to normal as possible, often requiring titration of medication during certain periods of the year. The first drug tried in horses with PPID was bromocriptine. Like pergolide, bromocriptine mimics the inhibitory effects of dopamine on the pituitary. It worked, but the problem was that it had to be given subcutaneously several times a day. Oral absorption was not reliable. The drug cyproheptadine was used at one time to treat horses with PPID. Cyproheptadine blocks serotonin, a brain chemical that stimulates proopiomelanocortin (POMC) production. Cyproheptadine often works well for a while, then loses its effectiveness. This probably occurs because more dopamine producing neurons continue to be lost and the suppressing effect of blocking serotonin can't compensate for this after a while. The standard dose is 0.25 mg/kg of bodyweight once daily. There is no known documentation of higher doses and/or increased frequency of administering this drug. Best current treatment of PPID is with the use of the drug pergolide mesylate. Derived from a natural class of compounds, pergolide is a drug that was widely used in humans to treat Parkinson's Disease, which also involves loss of dopaminergic neurons but in a different part of the brain. This drug attaches to dopamine receptors on pituitary cells and mimics the action of dopamine. Pergolide is usually very effective in controlling symptoms. Veterinarians vary in their starting dose and in the time they wait between dosage adjustments. Starting dose is typically between 0.5 to 1.0 mg/day for an average-sized adult horse. Dosages as high as 17+ mg/day have been used, and are still considerably below the comparable dosages used in humans. Pergolide was withdrawn from the human market in the US and CA in 2007 because of concerns over heart valve fibrosis or lung fibrosis. As far as we know, this has not been reported in horses. Pergolide is derived from a class of natural compounds called ergot alkaloids, which can cause hallucinations and bleeding tendencies or gangrene, but pergolide itself is not an ergot alkaloid and does not have these effects. Side Effects And The "Pergolide Veil"
The most common side effects of pergolide are depression/lethargy and loss of appetite, which the ECIR Group now refers to as the "pergolide veil". These are usually temporary side effects and can be reduced and/or eliminated with a slow introduction to the drug. A typical dosing regimen might start with 0.25 mg per day for 3 days, gradually increasing by 0.25 mg every 3 days until desired starting dose is achieved. By using this dosing regimen, members of the ECIR Group have seen far fewer reports of side effects. Side effects are not inevitable and many horses are showing rapid improvement in energy levels and attitudes, some within days of slowly introducing pergolide and with appropriate nutritional support. When horses with seasonal elevation of ACTH and/or G:I ratio present with Fall laminitis, it is the recommendation of the ECIR Group that these horses be treated with pergolide, at least seasonally (August to mid-December). These may be early PPID horses with exaggerated seasonal influences increasing laminitis risk that might otherwise be fine without pergolide during the rest of the year. See also Seasonal Rise. Chaste Tree Berry. 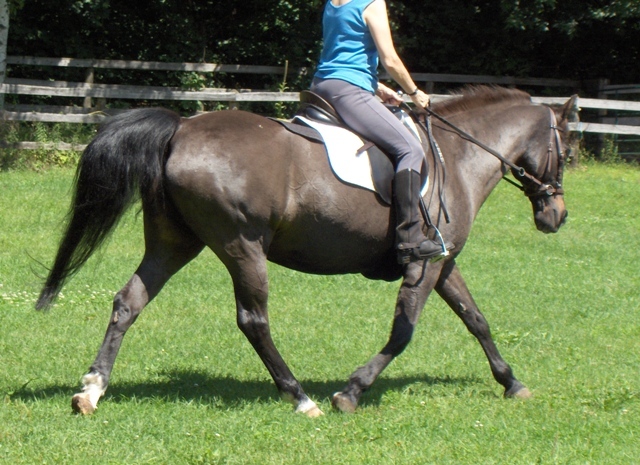 There are a variety of herbal supplements on the market for PPID horses. Some have immune stimulating or anti-inflammatory ingredients, but by far the most universally found herb is Vitex agnus-castus, aka Chaste Tree Berry, or Monk's Pepper. In 1999, Eleanor M. Kellon, VMD, conducted the first field trial of this herb in PPID horses after researching its use in female hormonal disorder and finding it was a prolactin inhibitor that was a dopamine agonist. 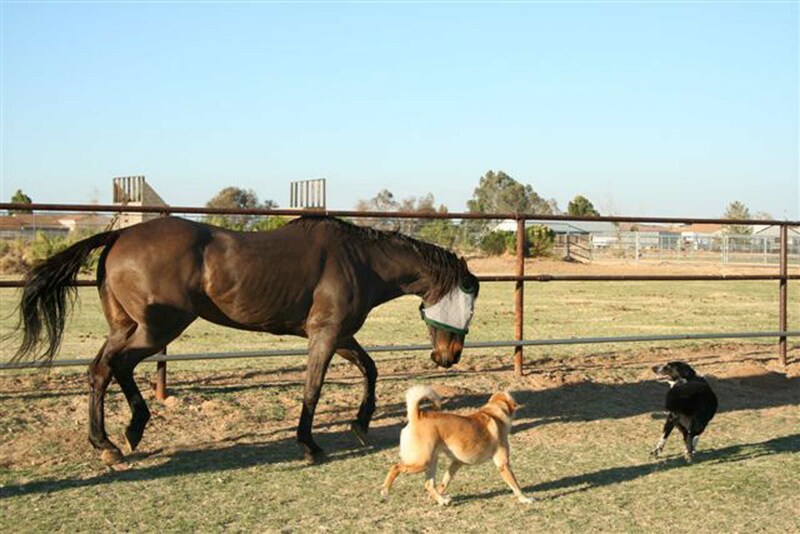 The 11-month field trial involved 10 horses and ponies with clinically obvious PPID, laminitis, long coats, and depression, using standardized liquid extract of Vitex. All horses showed improvement in coat shedding, increased energy, more activity, and possibly improvement in laminitis pain. Although it was difficult to differentiate between increased energy and decreased pain, Vitex agnus-castus also has a morphine-like effect in the brain, making decreased pain likely. By Fall it was obvious that there was improvement in the early PPID horses. Advanced PPID horses at that time were beginning to get a return of clinical signs with the seasonal rise. The trial was stopped at that point, and any horse that looked like advanced PPID was started on pergolide. The conclusion was that Vitex agnus-castus was not a substitute for pergolide, but could provide symptomatic relief in mild cases of PPID. A 2002 New Bolton Center Study compared Vitex/Chaste Tree Berry to pergolide, and found that it did not control ACTH levels. Most of the horses in the trial were advanced cases of PPID, and no effects on clinical signs were seen. Between 2001 and 2004 another trial with Vitus agnus-castus was done in the UK under the auspices of Dr. Robert Eustace of the Laminitis Trust. Each horse was followed for 12 months. Again, symptomatic relief occurred, but there was no reliable control of ACTH. This means that the pituitary adenoma growth and ACTH production are continuing unchecked. All three trials used liquid extracts of Vitex, Hormonise or Evitex. Some upward adjustment of dosage was allowed in the UK trial, while Dr. Kellon's field trial and the New Bolton trial used 10 ml per 200 lbs of bodyweight. The UK trial reported the same good clinical responses that Dr. Kellon saw originally, but improvements in ACTH and insulin were varied. While Vitex agnus-castus often provides symptomatic relief, particularly with regard to lethargy and coat abnormality, it does not reliably control hormonal output and therefore cannot be recommended as a sole treatment. If pergolide is not started until the Vitex agnus-castus is no longer controlling the clinical signs, higher doses of pergolide are needed and it is more difficult to normalize the ACTH. It is therefore not appropriate to use Chaste Tree Berry as a substitute for pergolide, even in early cases of PPID. Caution is still advisable when using both pergolide and Chaste Tree Berry, as there are no formal studies on the combined use. After being able to study and document many horses on Vitex over several years, the ECIR Group has found that many cases respond well initially but then lose the response and need to be switched to pergolide for better control. Homeopathic Remedies. Regardless of whether you believe in homeopathy or have had a positive or negative experience trying it, there are no formal studies on the use of homeopathy to treat PPID. True homeopathy is a system of medicine first defined by the physician Samuel Hahnemann 300 years ago. In brief, the concept was to "treat like with like" or the Law of Similars (aka "the hair of the dog"). The homeopathic remedies are supposed to be prescriptions that contain a variety of different substances that themselves would be expected to cause symptoms similar to what the patient is experiencing, and to the patient's emotion and spiritual make up. Although it is rarely clearly stated this way, Hahnemann believed providing minute amounts of substances that cause the same symptoms could stimulate the body's attempts to clear itself of the disease entity causing those symptoms. A less complicated example of the Law of Similars at work would be putting hot compresses on an abscess to help make it come to a head. At this time, there are no homeopathic remedies currently recommended or suggested by the ECIR Group Inc. 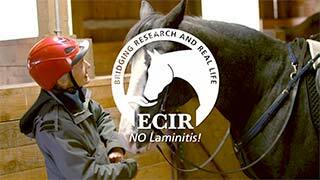 The goal of the ECIR Group is NO Laminitis. 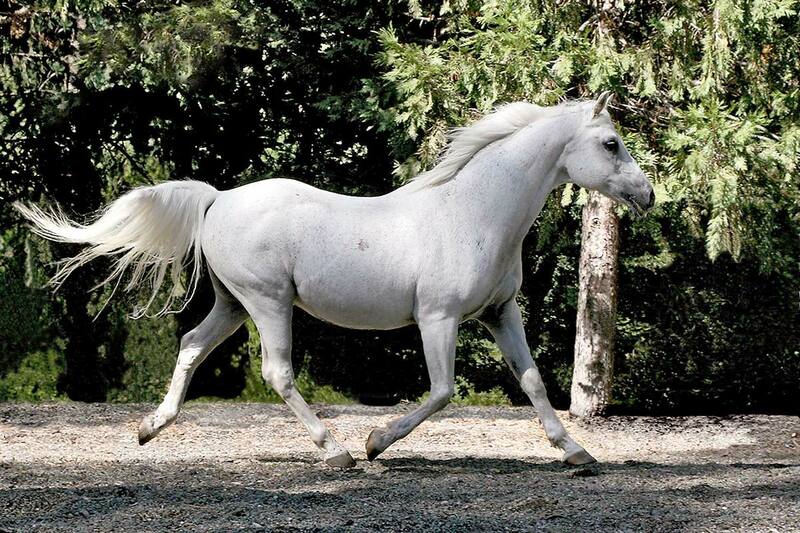 Therefore, the recommendation is that horses with PPID be treated with pergolide and, if also Insulin Resistant, that their diet be managed according to the ECIR Group protocol: Diagnosis, Diet, Trim, and Exercise (DDT + E).